Only a few decades ago, many large computer hardware companies had their own fabrication facilities and maintained competitive advantage by making specialty processors, but as costs rose, fewer companies produced the volume of chips needed to remain profitable. Merchant chip fabricators emerged, able to produce general-purpose processors at scale, and drove costs down significantly. Having just a few computer chip manufacturers encouraged standardized desktop and server platforms around the Intel x86 instruction set, and eventually led to commodity hardware in the client-server market. The rapid growth of the World Wide Web during the dot-com years of the early2000s created huge data centers filled with this commodity hardware, but although the commodity hardware was powerful and inexpensive, its architecture was often like that found in desktop computing, which was not designed with centralized management in mind. No tools existed to manage hardware as a collection of resources. To make matters worse, servers during this period generally lacked hardware management capabilities (secondary management cards), just like their desktop cousins. Unlike mainframes and large symmetric multiprocessing (SMP) machines, these commodity servers, like desktops, required layers of management software to coordinate independent resources. During this period, many management frameworks were developed internally by both public and private organizations to manage commodity resources. 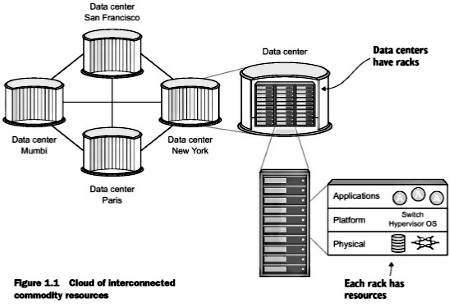 Figure 1_1 shows collections of interconnected resources spread across several data centers. With management frameworks, these common resources could be used interchangeably, based on availability or user requirements. While it's unclear exactly who coined the term, those able to harness the power of commodity computing through management frameworks would say they had a "cloud" of resources. Out of many commercial and open source management packages to be developed during this period, the OpenStack project was one of the most popular. OpenStack provides a common platform for controlling clouds of servers, storage, network, and even application resources. OpenStack is managed through a web-based interface, a command-line interface (CLI), and an application programming interface (API). Not only does this platform control resources, it does so without requiring you to choose a specific hardware or software vendor. Vendor-specific components can be replaced with minimum effort. OpenStack provides value for a wide range of people in IT organizations. One way to think about OpenStack is in the context of the Amazon buying experience. Users log in to Amazon and purchase products, and products are delivered. Behind the scenes, an orchestra of highly optimized steps are taken to get products to your door as quickly and inexpensively as possible. Twelve years after Amazon was founded, Amazon Web Services (AWS) was launched. AWS brought the Amazon experience to computing resource delivery. A server request that might take weeks from a local IT department could be fulfilled with a credit card and a few mouse clicks with AWS. OpenStack aims to provide the same level of orchestrated efficiency demonstrated by Amazon and other service providers to your organization. • For cloud/system/storage/network administrators - OpenStack controls many types of commercial and open source hardware and software, providing a cloud management layer on top of vendor-specific resources. Repetitive manual tasks like disk and network provisioning are automated with the OpenStack framework. • For the developer - OpenStack is a platform that can be used not only as an Amazon-like service for procuring resources (virtual machines, storage, and so on) used in development environments, but also as a cloud orchestration platform for deploying extensible applications based on application templates. Imagine the ability to describe the infrastructure (X servers with Y RAM) and software dependencies (MySQL, Apache2, and so on) of your application, and having the OpenStack framework deploy those resources for you.